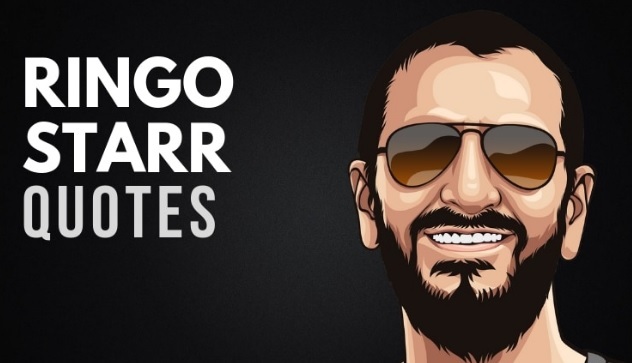 Posted on 25 januari, 2019 by Artillio Bergholtz Posted in Nyheter, Ringo Starr	. Här fortsätter presentationen av 35 inspirerande citat från självaste Ringo Starr. Everything government touches turn to crap. We [the band] had this open door policy – if you walked in the door, you were asked to play. Let’s make my birthday, July the 7th at noon, Peace and Love Day. Everybody go, ‘Peace and love.’ In the office, on the bus, wherever. It’s still peace and love for me, I’m a product of the 60s and it was a very influential period in my life, and you know, my head was turned around a bit, my eyes were opened as it were. In fact, I even have it on my arm, ‘Peace and love’. I see nothing wrong with peace and love. I think I’m more prolific in the songwriting. I’m on my feet and I’m doing what I love to do, and I’m in a profession, as a musician, where we can go on for as long as we can go on. End of part 2 out of 7.